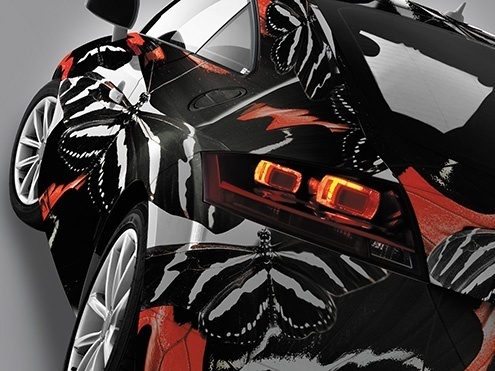 High-speed LED-UV printing with unrivaled beauty. 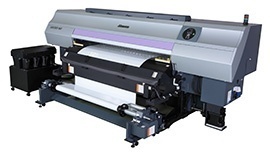 Combination of high speed and quality printing enable to shorten the delivery time and increase business opportunity. Since UV inks dry immediately when exposed to UV light, no drying time is required. This dramatically improves work efficiency for the user. “LUS-150” ink which employs white and is designed for wide media applications is also available. 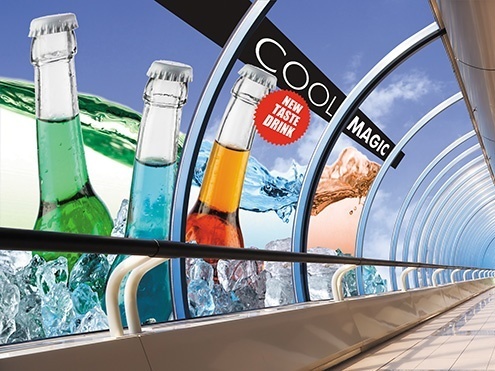 White ink is ideal for use in window graphics and with other clear substrates. The new UV ink type ”LUS-200” ensures outdoor durability. 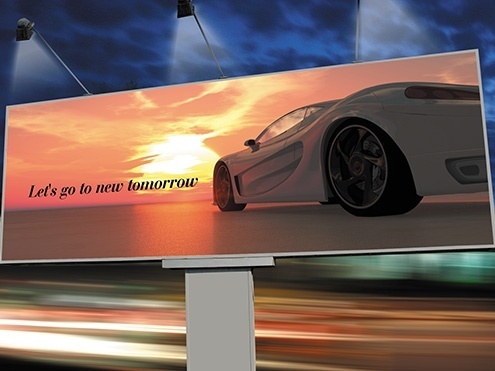 The flexibility of 200% enables installing on curved surfaces such as vehicle wraps. Environmentally-friendly UV printing generates little VOCs. Curing is performed with a power-saving and long-lasting LED UV lamp.